The Dollfuss assassination episode. The day the Brownshirts cynically hung their SS comrades out to dry, to coin an Americanism. THE US Postal Service has now agreed to forward my mail to me from the P O Box in Indianapolis. But four months' mail is missing. I remark to a mutual friend: "Her friends will have to start telling her how odd her behaviour has been." Location for New Orleans found: They have a conference room available and she gave me a special price for $200. Today, there are ten letters returned to our mailbox. But an odd pattern has emerged. Today's yellow stickers all say undeliverable, and have no new address. Yesterday it was the opposite: all the yellow stickers included the new forwarding address. So somebody in the mail pipeline is batching our returned mail, according to whether a new address is provided or not. I wonder who, but have my suspicions. I speak with the local postmaster; she makes out she cannot understand what I'm getting at. My English ain't all that bad. I run the statistics past her, and finally give up. I hope they've learned that I don't like people playing games with my mail. "They" have even been bouncing mail addressed to me as undeliverable, although it is correctly addressed to my box here. I ORDER five thousand postcard invitations from the printers for the two US tours this year. I have learned a new Polish phrase. "Nie ma mowy" -- no way. WHERE IS DAVID IRVING SPEAKING IN THE USA THIS MAY AND JUNE? Contact us: Apply for details. Register online [link]. 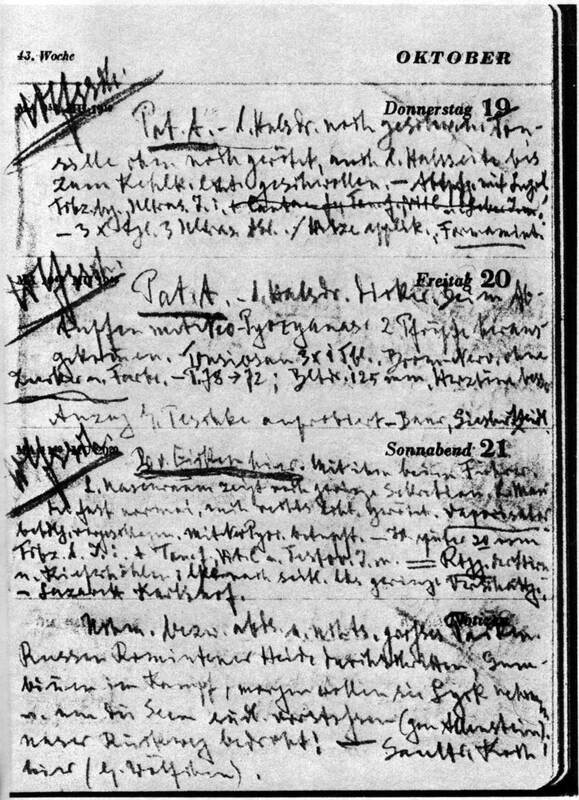 I WRITE Himmler during the day, drafting the Dollfuss assassination episode. The day the Brownshirts cynically hung their SS comrades out to dry, to coin an Americanism. 12:43 p.m I email to Jaenelle: "Dear Snowdrop: yesterday and today the mailbox here has items like those enclosed [four or five envelopes addressed to me, forwarded from our Indianapolis mailbox]. The US postal service has helpfully ignored your rather illegible instructions and sent them to me. . . When I knew you, you were always a lovely person. Friends tell me you are not well. I do hope that whatever bug has got into you soon departs. You deserve happiness." Out to Bobalu's on Big Coppitt Key for supper with Albert. Albert acted-up as usual, chirping in Russian to Mna., the Pole, which of course she hated, and singing lustily both over supper and on the way back. I have just a bowl of crab soup, while he has his usual three course meal. SOMEBODY asks for full details of the Chicago dinner. I reply bluntly: "Well the first thing to do is drop the anonymity and apply. Spending ten seconds at http://www.fpp.co.uk/apply is a good start." Mna. inevitably liked the place. I am doomed. The chef (from Iowa) flirted with her throughout, and she ate sushi. Yuk and Yuk. Hello. I was wondering if you could tell me the musical pieces played for the Hitler's War DVD as many of them were quite remarkable and I'd love to know what they are. Thank you. I reply: "Dear Dave, I think you'll find that it is Beethoven's Seventh Symphony, and passages from Liszt's Les Préludes." TOUR due to start in two weeks, and bookings are half (or less) of what they were last time. in der Anlage die ersten 24 Kapitel der Himmlerbiographie, streng vertraulich. Die letzten drei Kapitel sind noch im Rohentwurf. Ich arbeite langsam vorwärts, um ein Gerüst aufzubauen und damit auch Übersicht zu gewinnen. Vor allem wird der Röhmputsch stark gestrafft. Auch an den früheren Kapiteln wird noch viel geändert, gebastelt und gekürzt. Orthographie usw. : diesmal Englisch. Bitte nicht ohne Genehmigung weitergeben. H H-T's change of heart on renting his apartment to us has depressed me. The uncertain future returns. I DEAL with inquiries on our Facebook fan page, which I have today reactivated with Mna. 's eager help. Her first step is to change the password to stop further meddling by [outsiders]. I was wondering if you could tell me the real reason King Edward VIII gave up his crown. I never believed it was for the love of a woman.That is to romantic for real life I know there is something else to it. There are some intriguing mysteries about how Wallis Simpson was used for the seduction of the King, and who was behind it. In 1936 the new King Edward VIII was noticeably pro-Hitler. In August1941, and no longer king, he secretly asked Berlin from exile whether the time had come for him to return to Europe and take over the British throne. I found his message in German files which the British and American troops in 1944-1945 had failed to find and destroy, despite orders to that effect from General Dwight D Eisenhower. Mr Irving, thanks for all the books that you give us at your official web page, thanks for the info you give to the world, thanks for your great career as a Real Historian, from Mexico. I email to Jessica in England: "I hope you're revising. Mna. is just reviving my dead Facebook page. She is very good. She says everybody uses Facebook. - Daddy." I spend all day harvesting addresses from old application-lists for tours. Deadly work, but worth it in the long run. The 2008 list is almost unharvested, and contains hundreds of new addresses. Sigh. I'm still looking for your [Uprising] files but without success. I wrote an email to Osteuropa-Studien der Universitäten Bern und Fribourg, the new name of Schweizerische Osteuropa Institut in Berne where Peter Gozstonyi worked. They answer me that they do not have any of David Irving's files. Then I called the Gozstonyi family at Bern: a woman (the daughter?) told me that all files and works of Gozstonyi after his death were donated to "Staatsarchiv of Budapest". I asked the two most important Archives of Budapest if they have the Irving's files but the answer was "Not". So, I will call again the Gozstonyi family in Bern to have more details about the "Staatsarchiv of Budapest" but until now anybody answers the phone. I'll try again. I now write back to him: "Well that is very distressing. I had assumed that the files [on the Hungarian Uprising of 1956] would always be safe in an official archives like that. They were very voluminous, the results of three years of interviews and research in archives. Unusually, I did not have them microfilmed before I drove them down to Switzerland for the Gosztonyi archives. I would be very surprised if that institute gave them away. They may still be there under a different identity. Please keep looking." ONLINE bookings are now trickling in very slowly. Nothing like the 2008 rate however. I ask Jessica, who is in London: "When is your next driving lesson?" Tomorrow. "Great. Keep it up. The Skoda will soon be yours, and . . . the Rolls." I have yet to sit in the latter; eight years older than Mna., the old girl is still at the works being renovated. 7:50 p.m Giuseppe Lian wrote: "Dear Mr. Irving, I'm still looking for your files, of course! One question: do you remember who was present when you gave your files to Mr. Gozstonyi? His wife, his daughter, his son or anyone? Should be very important to know who was." I find I have a diary page for the day I gave the Uprising files to Peter Gosztonyi's archives. To my surprise it turns out that I gave the files to his Institute, and did not see Gosztony in person. My memory is very wrong therefore. ROSE at eight am, decided not to go running. Katie drove us at 110 mph [in my Rolls-Royce] to Berne. In view of yesterday's disaster in the afternoon at Geneva . . . I think I am going to twist her arm. We took a wrong turning on the autobahn and went 100 kilometers down the wrong branch towards Bex, arriving therefore at Berne at 12:45 pm, too late to see Dr Peter Gosztonyi. I donated all my Uprising files to his Schweizer Osteuropa Institut, then Katie went shopping, . . . and we continued to Basel. Around two pm I drove over to the Institut and left the files. He had waited until 12:35 pm for us. Three pm we left for Basel, arriving at five pm exactly. Difficulty finding [Rolf Hochhuth's house in] Spalentorweg, ending up with me trying to drive the Rolls across a fairground among increasingly narrow aisles of stalls and stallholders. Dana [Hochhuth] was pleasant, or rather gracious, showing a slight aloofness toward Katie which melted in the course of the evening. . .
Rolf got tickets for the ballet for us at eight pm, and accompanied us there in the tram. The ballet was La Fille Malgardee and well performed. . . Rolf was in good form and we had a riotous evening, Dana speaking some English. Rolf collected us from the Ballet around ten pm and we walked back through Old Basel. At one point he stopped, pointed to a narrow shopfront and said, "Schau mal, so eng wie eine Rolle Klopapier!" Typical Rolf: schlagfertig. I stayed talking with Rolf until three am. Katie was an American starlet with the stage-name Katie O'Shea, whom I have not seen since 1982. 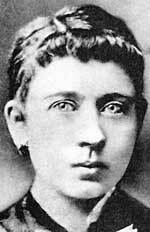 We called her Katie O'Thief later, but that is another story. A FACEBOOK fan puts a lengthy slew of stuff on our fan page which he says are my views. Most are not. He concludes: "Mr. Irving may possibly change his mind but if so does he does it for the reason he became the Historian he is: - Because he found the evidence that has been hidden all these years." ANSWER: Yes, but please do not put words into my mouth! Nobody can do that for me. I cannot be bought, and I refuse to be bought off. I will summarize my views on what is called The Holocaust when my book on Heinrich Himmler is complete, based on records from the Moscow archives and around the world, and on statements out of the mouths of those members of Hitler's private staff whom I was privileged to meet and interview. Incidentally, for the curious: I am carrying a small tuft of Hitler's hair with me -- two broadcasting companies have asked for a few strands to carry out DNA tests -- and you can see it if you hear me speak on my coming tour: http://www.focal.org/speaks. A second fan asks: Does anyone know if Hitler knew how to drive a car? A lot of people who lived during the same period (like Albert Einstein) never learned how to drive. ANSWER: Yes, like Himmler he learned to drive. Himmler drove (crazily) a very early BMW car, the Dixie, based on an English Austin design. 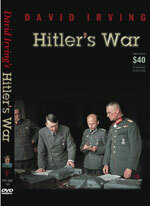 Hitler was indeed stopped for speeding before he came to power, which was unusual as both he and Himmler were very against speeding: Himmler disciplined SS men caught speeding, and put them in his well-known correctional institutions, while Hitler had a tachometer (UK: speedometer) installed on the back seat of his limo so he could check what speed his chauffeur Erich Kempka was doing. So: a back seat driver too. Supper at the Rusty Anchor with Albert. We return to find Mna. sulking as she had not been able to get into the house to work. Yet another difficult woman. Only a few minutes ago I read that the gravestone of this good woman, of this wonderful expression, has been removed. You cannot imagine, Mr. Irving, how much I love this woman. I'm speaking very seriously. I'm keeping her picture in my bedroom for many years. What an amazing face. When I looked at the picture and saw only the tree I wanted to cry. It is so sad. How dare they did such a terrible and cruel deed? It's so cruel to do such a thing. I only hope that the gravestone shall return. I hope someone will do something and bring it back. . . I love this woman without any connection to her son. Look at that wonderful face. Eleven a.m. I have a ten minute visual "dazzles" attack like on the road to Barcelona with Jaenelle two years ago. It starts in my blind spot and then spreads, heavily pixellating my vision before melting away twenty five minutes later. 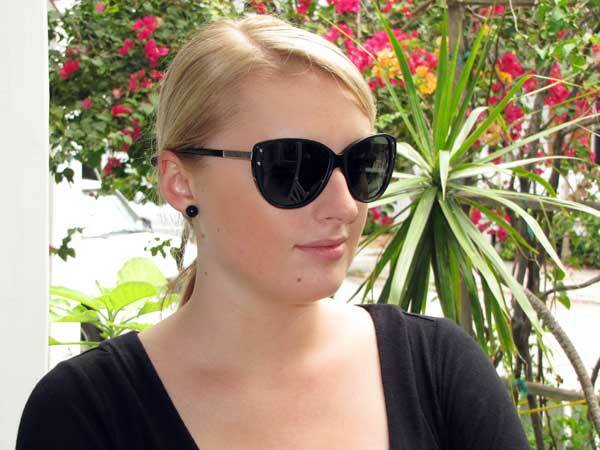 Dazzles are back a few minutes after midday.. I am glad to read that you are still writing. . . I don't mean to be rude or waste your time and you don't have to reply if it is too personal of a question but I was curious; in my World War 2 class in college I brought your book Hitler's War to class as a reference, as it is overflowing with information and insight to the German situation before and during the war. During class one day my instructor brought up a lawsuit you had had with a woman. He had said it was a case you had brought against her but I thought I remembered reading somewhere once that this was a counter-suit to a case that she had brought against you. Again I don't mean to be too forward I was just wondering what the truth was. I am a big fan; you are an inspiration to me. I am German; my Grandfather moved to the U.S. after the war and it is hard to go through school and learn history with Germans being dehumanized and demonized by most media sources. I try to share the knowledge and facts from your books with as many people as I can. I reply: "Yes: in 1996, fed up with the avalanche of slime generated by Jewish and other authors against me [see below, Oklahoma City], I sued one of them in defamation in England. She came to the trial in 2000 armed with an army of expensive lawyers and witnesses she had paid up to half a million dollars each, to give their neutral opinion about my worth. Hmmm. Stephen Spielberg et al. put up the money [and lost thirteen million dollars of it in legal costs]. I will do it again if necessary. "You can find all the trial documents on my website at http://www.fpp.co.uk/Legal/Penguin and the court transcripts in particular at http://www.fpp.co.uk/Legal/Penguin/transcripts." I have booked in Carmel, northern Indy, for May 5-7, and will ask Charles M to meet me there. 2. Can you write diffidently to Little Angel and ask if we have a Marriott Rewards number? My existing number no longer works. I have the Hilton Honors number. Any other such numbers she may have which will be of use too, please. 3. Bookings very, very, very slow. It is depressing, this Depression. B writes me: "Jaenelle once told me you had a lot of people turn out in Atlanta. I hope you can duplicate that this Summer. She was special. Beautiful, intelligent, and so politically savvy. A rare combination in a woman. Do you have a new assistant for the upcoming road trip?" Yes, I reply, an eastern European (left), same age as Jaenelle when she started, and otherwise not dissimilar. I go up to Bobalu's on Big Coppitt Key for a bowl of crab soup with Albert. Back at ten-twenty p.m. A quiet, quiet day. 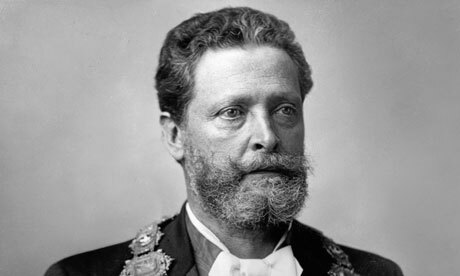 Mayor of Vienna (Austria), Karl Lueger: "I decide who is a Jew." Dr. Karl-Lueger-Ring will be renamed University Ring: he (and not Göring) famously declared, "I decide who is a Jew." "But I think Göring did say this," argues L., "probably quoting Lueger when, for example asked about his 'Jewish' Luftwaffe deputy, Erhard Milch." L cites Wikipedia as his source. I reply: "Milch himself told me that it is an invention." And as for giving Göring the credit: "Wikipedia as a source? Shame on you! Lueger came first. Maria Theresia even before him." "However, it is interesting Milch told you that," L. presses. "Did you ask him if he really did have a Jewish father or grandfather ? but this is so widely known, it appears widely." I reply acidly: "The Holocaust is also 'widely known' yet people still challenge the details. 'Widely known' would not stand up in court." Unfortunately my verbatim transcripts of my taped 1968 interviews with Field Marshal Erhard Milch are not in the Institut für Zeitgeschichte archives. I hope I still have them in my storage unit in the UK. Yes, I asked Milch in detail and he gave me a full off-the-record account of his parentage. 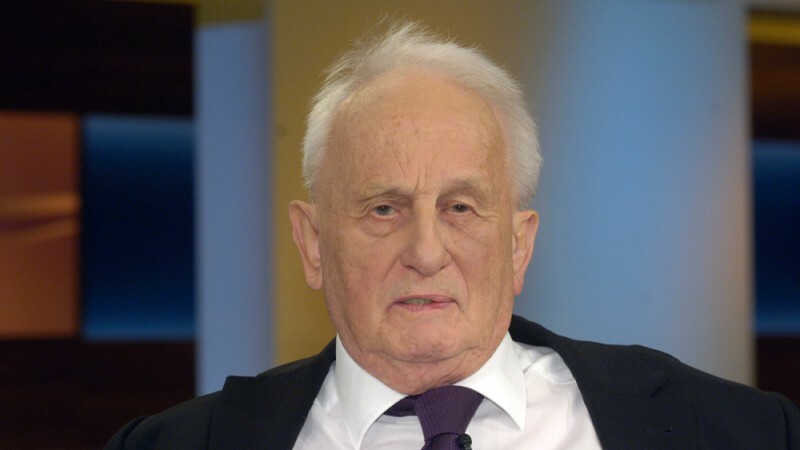 His legal father Anton Milch was Jewish and is buried in a Jewish cemetary in Breslau. The late Prof Klaus Herrmann researched that in detail with my help. Milch's real biological father (and the father of all his siblings too) was his uncle Carl Bräuer. Dani Taylor writes mentioning the 1995 Oklahoma City bombing. ANSWER: Funny you should mention the Oklahoma City bombings. The Jewish Telegraph Agency circulated a report a few days later alleging that I had supplied Timothy McVeigh with "the trigger mechanism" used in the bombing! I did not of course. I would not know which aisle of K-Mart or Home Depot to ask for them in. The story had been invented by Antony Lerman of the Institute of Jewish Affairs in London (left). Not much you can do under US Law about such nasty libels, unfortunately. McVeigh's attorney wrote me apologizing for having believed it. See my website file on this smear at http://www.fpp.co.uk/BoD/Oklahoma. Abdullah Saleem: What about a similar tour in Middle east? why not come to aljazeera tv for interview, just like the one in 2002 - I guess? ANSWER: I occasionally speak my mind on Iranian television. But even that is taking a risk nowadays. The logistical problems of speaking in the Middle East are formidable. It would need a very solid financial backer, and the Arab world is not well known for that. SUPPER up on Stock Island. Biked there and back, fierce crosswind. On my return I find this inquiry from an eighth grader, Brittni Tran, doing a research paper on Holocaust Denial. "I wanted to get the other point of view on the Holocaust. I would really appreciate it if you could email me back about why you think the Holocaust is a Hoax made up by the Jews. My project is due on May 17 and I want to make it very good and have different people's thoughts about the Myth of the Holocaust. Please email me back so I can get your opinion!" I set my work aside and reply: "Wow, that is a major task, Brittni. First, you are right to ask around to get different viewpoints. But it will win you few friends, and a lot of enemies. Second, I am not a Holocaust denier, whatever that is. I am a partial Holocaust sceptic, and definitely a non-conformist. Notice by the way that although I have repeatedly stated the above, and have published the documents on my website (e.g. at http://www.fpp.co.uk/Auschwitz ) you and school pupils around the world are told that I am a Holocaust Denier. The big money is on their side, and it is useless, and hopeless, to argue against them. But the truth remains on my side, and stays here. I have written the above especially for you Brittni, and it is dedicated to you, as you were fair enough to contact me, and ask. I wish you well in your life. When you reach that crossroads, the one I mention above, decide for yourself, and make sure you take the right turning. * [ Click here for the full text of this reply ]. JEANNIE asks about Jaenelle and MAGIC. She was brilliant at sniffing out the moles applying for my talks. "Was she using a program," asks Jeannie, "or just investigating people individually herself?" I reply: "She was very good at it. She developed a nose for it. Astonishing that she has fallen for this ******, ******,******,******, Australian. I wonder if his wealth had anything to do with it?" The Frankfurt, Germany, prosecutor has refused to act on the admitted plagiarism of my Rommel biography by a local television film company. Mangels Kenntnis des tatsächlichen Inhalts des Films sowie mangels Vorlage des vom Anzeigenerstatter verfassten Werkes kann nicht festgestellt werden, in welcher Art und in welchem Ausmaß der in der Entstehung begriffene Film als eine Umgestaltung der Biografie oder als eine schöpferische Eigenleistung zu bewerten ist. I tell my German lawyer therefore: "Nächster Schritt ist also, irgendwie in Besitz des Drehbuchs zu kommen, und zwar noch rechtzeitig vor Ausstrahlung des Filmes?" He replies: "Das ist ja genau das Problem, das wir haben." I reply, 10:08 a.m: "Verbindung mit der [Cornelia] Hecht aufnehmen? Sie wimmelt ja im Karpfenteich herum." She has however seen the script and stated that it was based on my biography. 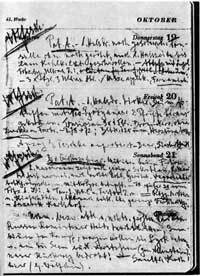 Hitler's doctor, Theodor Morell, kept a secret diary in which he recorded his master's manifold symptoms and his unconventional treatment of them (he was known sarcastically as the chief Reich injection officer) -- treatment which is thought by many to have hastened Hitler's physical deterioration. Once in US captivity, Morell himself claimed to have applied such treatment precisely for that end; but then he would, wouldn't he? I reply to R.: "Thanks; pity they never give credit for the person who found those Morell diaries (above right) and spent two years transcribing and commenting them." Fortunately, bookings are picking up very well now. THE tenant at the rear cottage here, B., who is one of us, cooks supper this evening; A salmon fillet and a steak, both very good. Albert holds forth and relates some very funny episodes. Then conversation turns to Jaenelle, and it turns out that B. knew her. E., his New York ballet dancer fiancée of four years, listens silently with a look on her face I recognize. He tells of an episode at the Nashville meeting of the CMS on October 30 last year. In the lobby afterwards a gaggle of city-suited attendees discussed where to go, and they decided on Jaenelle's advice to go to a street downtown where there is a strip of bars. B. suggested Jaenelle come with them. I am about to interject that she does not drink, but he is already quoting her reply: "I'll go -- if you pay me." What did that mean, he asked her. "I can help you to find other women." Miss E. glares again. At which point Albert suggests that talk about the Little Angel cease. I make my usual fond remarks about her, and how I hope she has done well and settled down somewhere. The CMS is a members-only function, and not even wives are allowed in. SUPPER at the Rusty Anchor. I find Mna. camped outside the apartment when I return, but just leaving for a boat party. I didn't know boats threw parties. 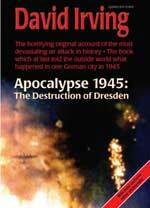 I understand that you have received two copies of Apocalypse 1945. Don't bother sending the book back, just keep it as a gift. I chide her: "Better would be: 'We are pleased to invite you to retain the second book as a personal gift with Mr Irving's compliments. . .,' etc. That is less standoffish than "don't bother sending." EMAILS at 7:51 a.m. John L. of Finchley writes about Jonathan Bowden, whose death was just announced: "David, it's very saddening news that you bring of Jonathan Bowden's death. He was by far the best public speaker I have heard. I only saw Jonathan once, at your last garden party, and didn't get the chance to engage in conversation. On hearing his recent speeches recorded in the US, I noticed that the typical power and jagged intonations in Jonathan's oratory were absent and wondered if his health had declined, or age was catching up. I reply: "It took four weeks for the word of his death (on March 29) to come out. It was such a pleasure listening to him, a gifted orator, the facts all at his finger tips. I heard him for the first time only about four years ago, and I was settling in, expecting to hear many more talks by him." I add: "My own health here is well: I never smoked, don't drink, and am trying to keep the weight down. There's something in American food, perhaps the hormones injected into cattle, which militates against the latter however." I have found your website and decided to write a letter to express my gratitude. 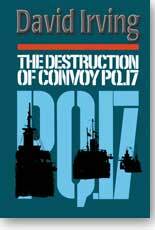 In 1971 when I was 14 years old my uncle (veteran of the WWII) presented me Russian translation of your book "The Destruction of Convoy PQ.17". I was much impressed by it. Later I found "The Virus House" in district library in Russian too. That book generated my interest to physics. Now I'm reading your "Radical's Diary" with positive interest. Thank you very much for the free access to your books in pdf. I like your term "Real" applying to the History. Your works produce live impression like "live music". About your polemic with conformist historians. Soviet historian of Stalin's times Mikhail Pokrovsky declared: "History is Politics thrown into the Past". That is why so many historians degenerate into conformism. Keep your right line! And best wishes! I send him a thank-you letter: "Dear Vladimir, I am glad that you liked those two books, PQ17 and Virusny Haz. In those days (Soviet times) the authorities had no permission to publish my books in Russian translation, but at least they paid me: in roubles, which I came to Moscow to spend in 1977 (right) and afterwards. Now, Russian publishers still publish my books without our permission, but without payment too!" Freedom of expression under attack - Canadian lawyer Damian Penny whines about "libel tourism" because David Irving sued Lipstadt in the UK courts for libels she peddled in England, but does not mention that (under the usual pressures) Canada has banned Mr Irving since 1992.